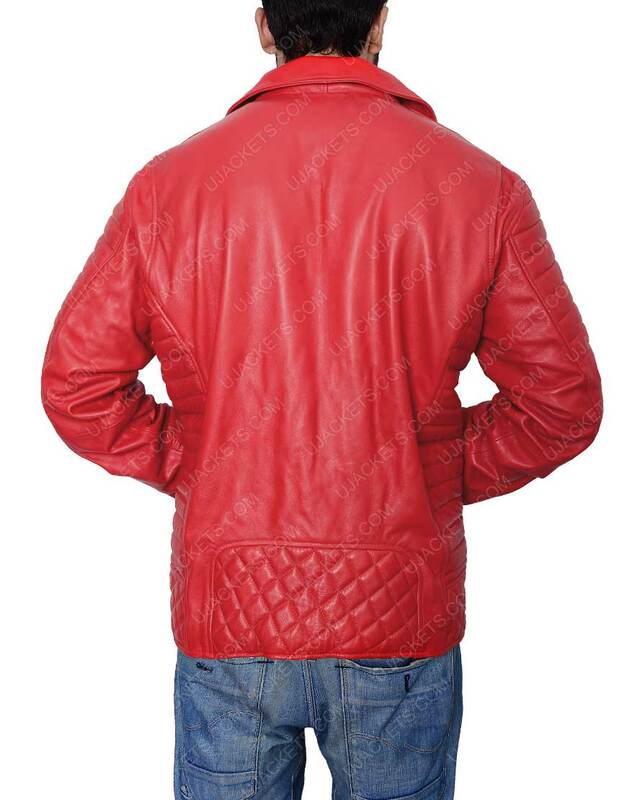 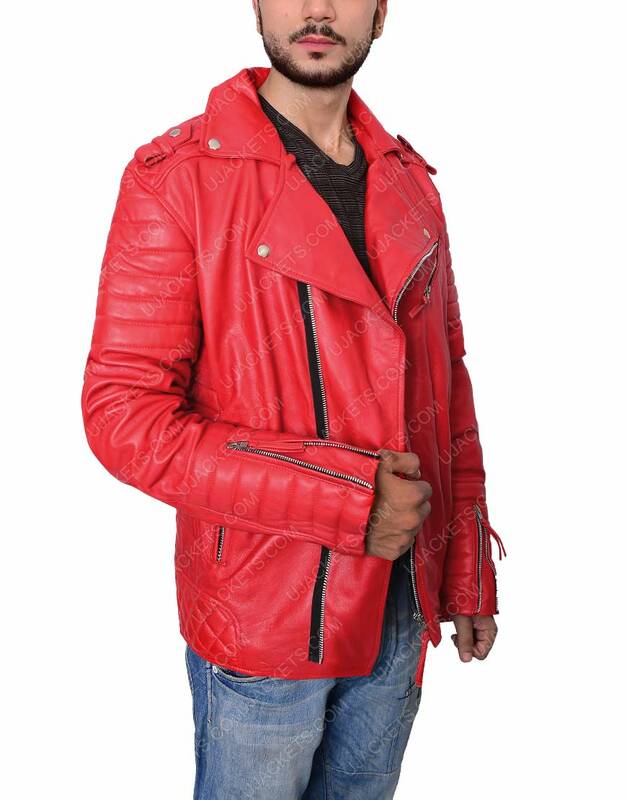 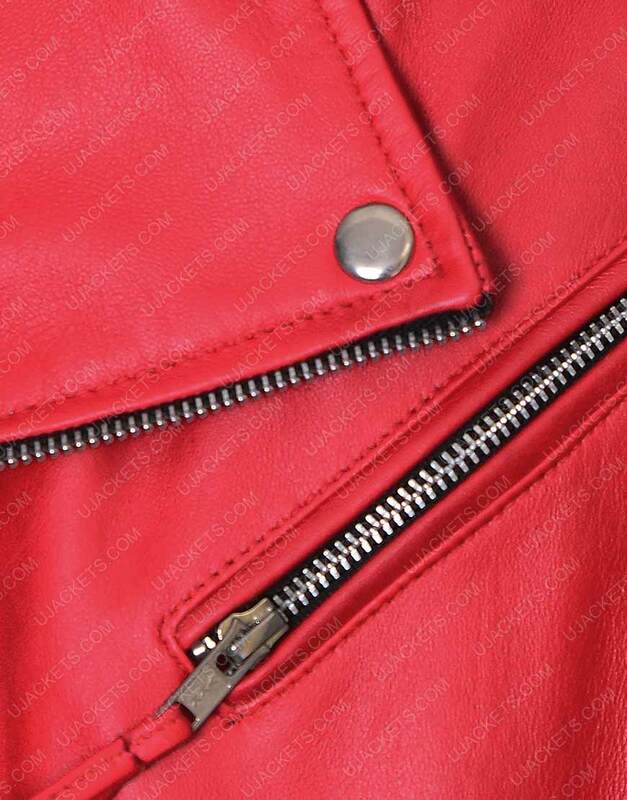 Attain the entrancing smart presence with the Mens Red Leather Moto Jacket that is creatively made with intrigued designing and bold fabrication that rightly imitates its creative artistry. 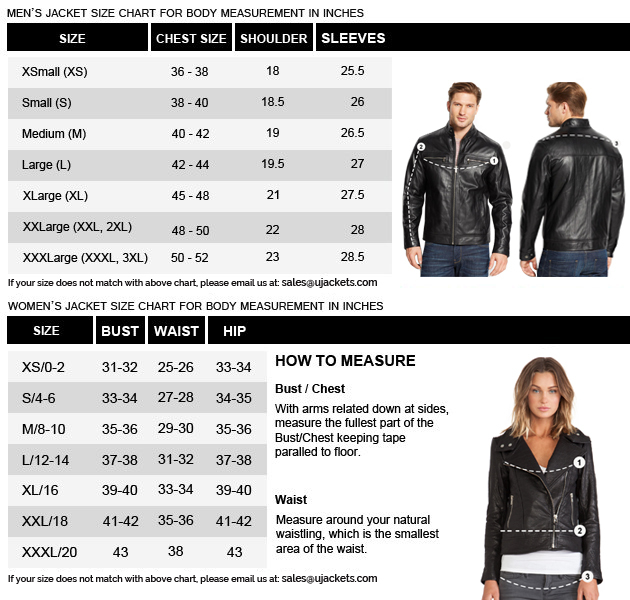 The outfit is deliberately made with compact overall tailoring that fits perfect enough to give your persona a diligent edge. 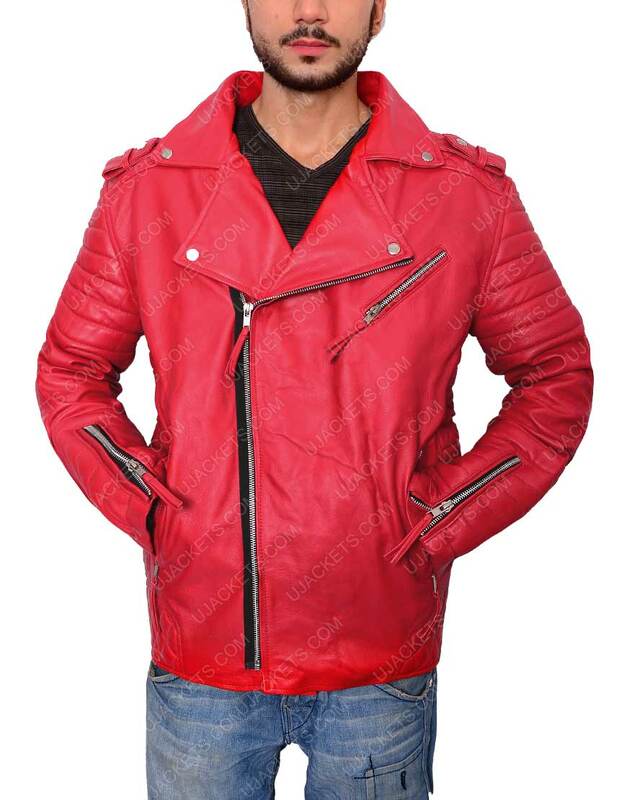 Made from the genuine leather material, the apparel is uniquely fashioned with the wide lapel collar on its top, and has been amalgamated with the nifty asymmetrical zipper conclusion for smart outlooks. 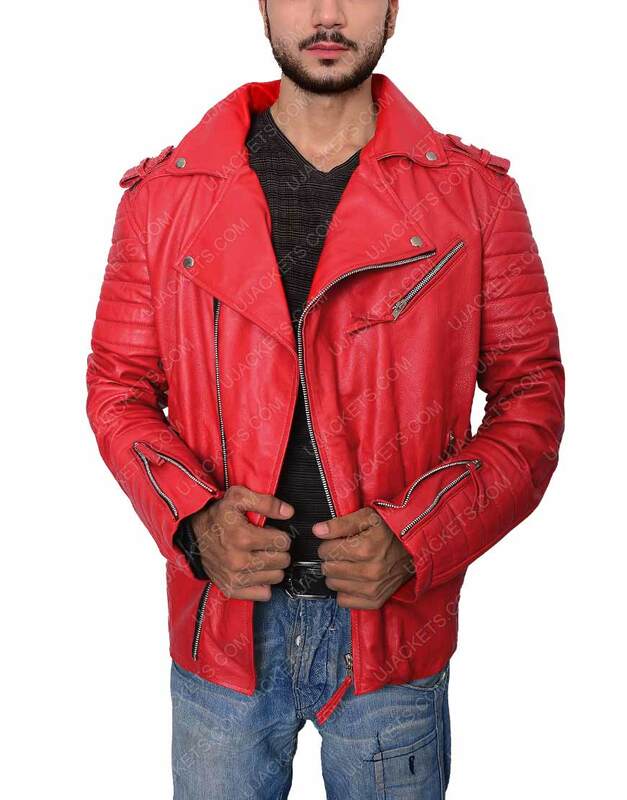 This Mens Red Moto Jacket has also been crafted with the side waist pockets so that you can manage your precious capitals within.